IKON Pricing Hurts Some Older Skiers. May Help Others. 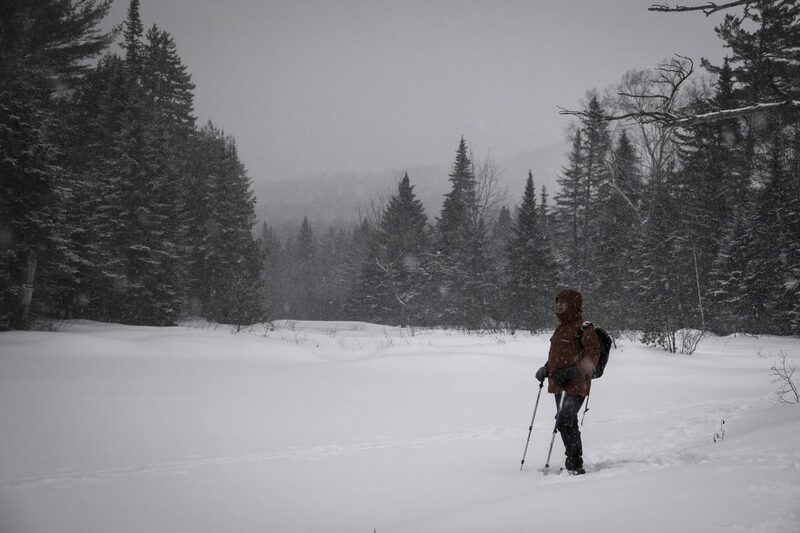 Long-Time Friends Take To The Maine Woods On An XC Adventure. Steve Hines (R) and his pals venture into the AMC’s wilderness camps every year. A fresh three-inch snowfall covered the winter parking lot as we arrived for our annual winter ski trip. We felt a quiet confidence as we loaded gear into the gear shed for transport to the Appalachian Mountain Club’s (AMC) Little Lyford Pond Camps (LLPC). The camp is on the outskirts of Greenville, Maine. At about 9:30 that morning, we put on skis and shouldered day packs for the 6.8 mile trip from the parking lot to the camp. The four of us—ages 63 to 70—are all experienced outdoorsmen. Trips like this were not new to my group of friends. But, what makes people our age want to continue to take adventures like this? Hadn’t we all earned our rest? Shouldn’t we be shopping for “over 55” living arrangements? Perhaps the answers would be revealed during the week. AMC owns three camps which are on land the club purchased near the Katahdin Iron Works region in north central Maine. The camps had been fishing and hunting camps for “sports” from Portland, Boston and New York, typically wealthier men looking for a respite from their harried lives in large cities. LLPC opened in 1873 during the so-called gilded age in America. These were the days of JP Morgan, the Rockefellers and the Carnegies. Now, the three camps: LLPC, Gorman Chairback, and Medawisla are all updated and modernized for 21st century adventurers. LLPC was our destination this time, and the only way to get there is to ride a snowmobile or ski in on either Hedgehog Gate XC ski trail or the KI Road (logging road) to Upper Valley Road to the camps. Either way, the conventional wisdom is that intermediate skiers have the best time but beginners beware. Two of us decided on the trail and two on the roads thereby observing the “never ski alone” rule. A few hours later, we four were reunited at the lodge at LLPC having lunch and telling stories. The staff at the camp were all on the job less than six months but were eager to please. In a short time, they’d become veteran innkeepers. Food at LLPC ranges from good to excellent, and we all found plenty to eat. The camp staff also accommodates special needs like vegetarians and gluten free. Trail lunches are provided as part of your stay. 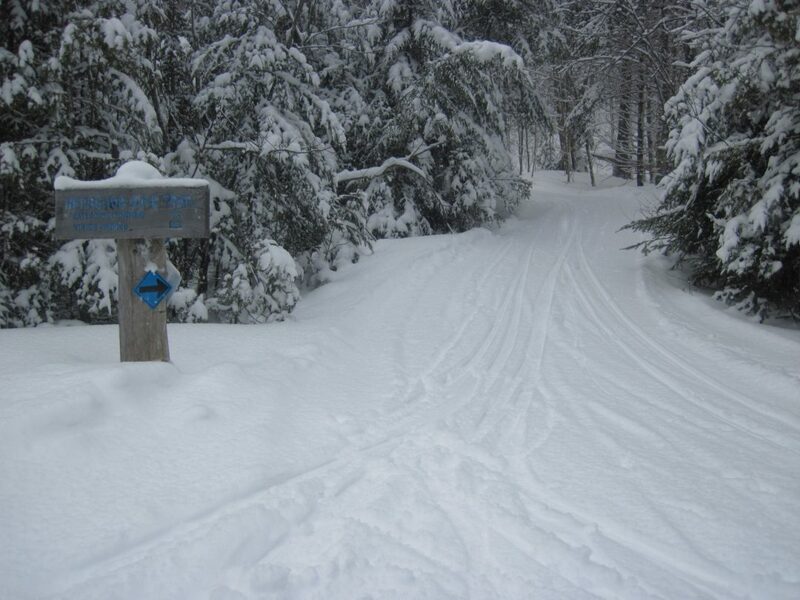 The trail system around LLPC is extensive also ranging from comfortable “kick and glide” trails to challenging, ungroomed trails like Gulf Hagas. 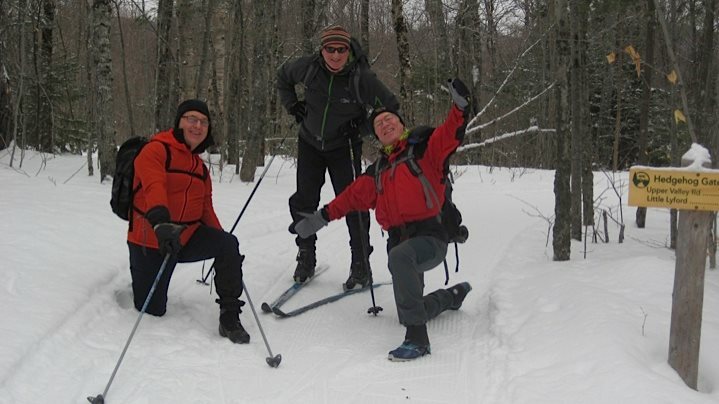 Cross Country skiing isn’t the only winter sport enjoyed in the area around LLPC. Snowshoeing is also popular too. And the Lodge has snowshoes to loan. While we had many conversations around our wood stove over the course of our stay, there were no clear answers to the existential questions listed at the beginning of this article. We did agree, however, that we all look forward to our next winter adventure. Steve Hines is a sales associate at Outdoor Outfitter, REI, Inc. (Steve’s views do not necessarily reflect REI’s views). He has been a wilderness guide, a Wilderness First Responder and a volunteer trip leader for the Appalachian Mountain Club. Free Subscription and Special Offers for New Subscribers - Deep Discounts on Gear and Senior Ski Recommendations! New subscribers are immediately eligible for deep discounts on top brands and exclusive ski recommendations for seniors. How Cozy Are Your Feet? SeniorsSkiing is an online magazine for the 50+ snow sports enthusiast. 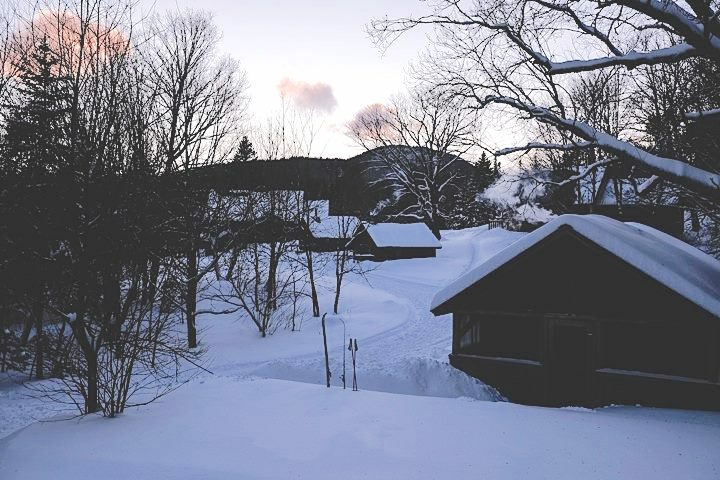 Our readers ski, cross-country, ice skate and snowshoe during the winter. They cycle, golf, hike, sail, and even climb in non-snow months. We bring Ski News, advice on Destinations, Gear, and Health and provide a Nostalgic look at snow sports history and heroes. Look to us for special offers, discount information and updates on what others in the growing 50+ crowd are doing to optimize their skiing and riding experiences. Our Correspondents are experienced ski journalists who are visiting ski areas, testing equipment and interviewing senior skiers all over the country. We are proud to have an Advisory Council with some of skiing’s greatest names. We welcome submissions about the older snow sports enthusiast and encourage all visitors to contribute to the SeniorsSkiing Forum and Photo Gallery. 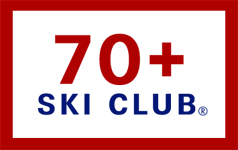 SeniorsSkiing is an online magazine for the 50+ skier and snowboarder. We bring Ski News, advice on Destinations, Gear, Health and provide a Nostalgic look at ski history and heroes. Look to us for special offers, discount information and updates on what other seniors are doing to optimize their skiing and riding experiences. Copyright © 2019 — SeniorsSkiing.com. All Rights Reserved. Subscribe now to continue. SUBSCRIPTION IS FREE! Already a Subscriber? Enter your email above to confirm your subscription and continue reading. Thank you! Cookies must be enabled on your device for new and existing subscribers to gain access. 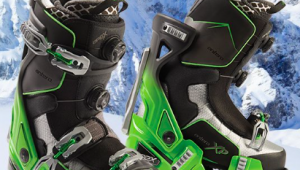 BEST SKIS FOR SENIORS list; DISCOUNT DEALS; and our weekly digest email.